Virtual Lawn Sign and automatic social media promotion Get your house in front of thousands of potential buyers through social media with a click of a button. Your Virtual Lawn Sign displays your home like no other. Learn more A premium website for your home We help you to set up a beautiful website for your home displaying all the relevant information for the users with photos and even videos in just a few minutes. See how it looks Visitor analytics Measure how effective your marketing campaigns are with visitors analytics. See who visits your site and which social media or ads bring them in. Only pay for what works for you. Learn more Walk Score Index Provide your buyers with information about your neighborhood. 81% of the U.S population use social media. They browse Facebook, Twitter, and Google searching for the best houses on the market. That means, YOUR IDEAL BUYER is actively using Social Media to view home listings. How are you showcasing your home to those online buyers? With a Virtual Lawn Sign, you can easily and effectively reach buyers who are actively looking for your house. To create your Virtual Lawn Sign, simply upload at least 3 photos and briefly describe your home. With a click of a button, your home is posted to your Facebook, Twitter and Google Plus accounts for your contacts and buyers to see. Get this powerful opportunity now, and reach the buyers who count. In today’s fast-paced housing market, most eager buyers are browsing for houses online. That means that the stronger your web presence, the more likely you are to find the right buyer fast. At CasaVue, we set you up with a world-class website packed with photos, videos, and a description of your home. This way, buyers can see exactly how amazing your house is, and you’ll close that great sale at lightning-speed. Even better? Creating your website takes just minutes. You’ll have a blast arranging the perfect combination of photos, and watching the buyers roll in. You want to be sure your website, virtual lawn sign, and other marketing tools are reaching the right buyers, and that those buyers are getting excited about your house. With our state-of-the-art visitor analytics, you get all the information you need to be sure your sales campaign and website are working at the highest level possible. We give you your very own online portal where you can see how many visitors have come to your website, specific demographics, and whether people are clicking through to your site from social media platforms or google searches. With such in-depth information, you can fine-tune your marketing tools, find the perfect buyer, and close your sale faster than ever before. SMS & Mobile marketing People want information instantly. With our cutting-edge mobile technology, they can access information about your house and contact you easily using their phones. Learn more Physical Yard Sign Displaying a "For Sale" sign on your lawn accounts is the single most important thing you can do to tell your home. Our customized lawn signs take your marking efforts to the next level with professional features that deliver results. Auto Craigslist ad generator Instantly create a "Craigslist" ad that displays all the features and benefits with photos to attract buyers from this popular platform. Today, most people do google searches and browse social media on their smart phones or other tablets. That means, you want your marketing material to be irresistible on any mobile device – so you can be sure that you’re connecting with buyers who are on-the-go. Our expert SMS and Mobile Marketing tools ensure your website and advertising is eye-catching everywhere – whether it’s being viewed on a computer, tablet, iPhone, android, or any other device. Here’s the truth. We’ve been helping people like you successfully sell their homes for years. We know what works – and what doesn’t. When you have CasaVue’s world-class team at your side, you can rest easy knowing you’re making the right, most profitable decisions – every step of the way. Your success is our goal. That’s why, from industry marketing advice to step-by-step guidance, we give you the assistance you need to put your house on the market, find the right buyer, and close that amazing sale. Let’s get you the outstanding experience and rewarding results you deserve. We can make your house look stunning with a professionally produced video which we advertise on your own property website. 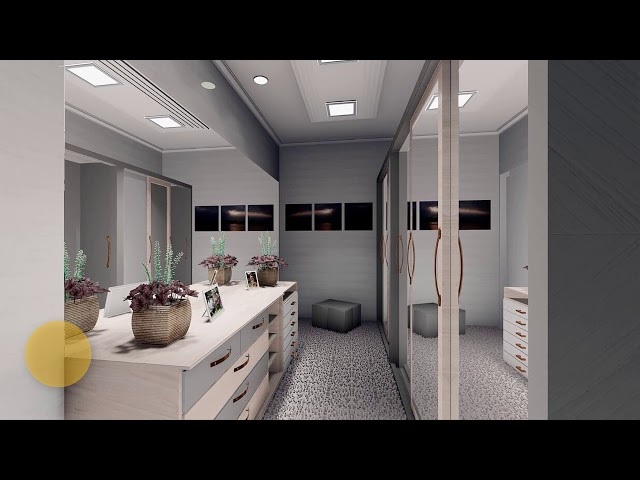 A custom virtual walk through of your home showcases all the beautiful features for buyers to see 24/7. What's included with the 10-day free trial account? A 10-day free trial account includes our powerful social media marketing flyer, the Virtual Lawn Sign (VLS). Take advantage of the popularity of Social Media to sell your home. The 10-day free trial also includes your personalized easy to create listing website to showcase your home to qualified buyers. It's a great way to start the process if you are thinking about selling your property. You never know, you might just sell it. Many customers reported selling their home during the 10-day free trial. Do I need a credit card to get going? You do not need a credit card to start the 10-day free trial plan. Can I cancel the 10-Day free trial anytime? The 10-day trial account expires in 10 days, no credit card required to setup and no fees whatsoever. How do you help me sell my house? We provide the advanced marketing tools such as state of the art (and cool) website; customized YouTube video commercial, SMS marketing, and social media marketing. As an optional service you may have an executive assistant help you from start to finish. Is this website strictly for properties that are for sale? Every property type and listing is available including rentals and leases. Which package offers the best value? Our most popular package is the Sell fast package. The Sell fast package offers you a stress free way to display your listing on all of the social media sites. This option also includes our SMS mobile marketing making it easier for buyers to receive more information with just a simple message. Not only will you receive materials of online marketing but, you will also receive a physical lawn sign to display. "CasaVue took all the complications out of real estate marketing and made it so easy. I felt like a real estate pro when selling my property. Thanks CasaVue!" "Using CasaVue, we were able to increase foot traffic to our property virtually overnight." "Having a CasaVue customized lawn sign on our front lawn, showed potential buyers that we were serious and ready to sell our house for the right offer 😉." They are satisfied, and you will be too! Not sure? We have a guarantee! At CasaVue, we are absolutely dedicated to your satisfaction. We put our time where our mouth is, and work with you personally to make CasaVue an exceptional selling experience for you. While we cannot promise you that you will sell your home - which depends on factors out of our control - we guarantee to market your home effectively for only a fraction of the cost, and to bring you more buyers than ever before.